Getting the word out about your CBD brand means not only providing information about your products but also educating consumers about what CBD is and what it is not. Many people still misunderstand the differences between marijuana and hemp. They may know that CBD (cannabidiol) is somehow related to marijuana, but because there is confusion about how it is grown, cultivated, distributed, and utilized, potential consumers may not understand the value and limitations of hemp. If you’ve decided to market your CBD brand and capitalize, it will be important to use strategies that can inform consumers in several areas. Before you can even begin to grow your CBD brand, it will be important to answer questions about CBD, clear up misconceptions, and inform potential customers about its value. Consumers may not know what CBD is. They may have concerns about whether or not it is legal in their state. There may be concerns about what it can and cannot do. Some of the general public may not understand that CBD comes in many forms and can be ingested, used topically, or vaped. There may be a lack of understanding about where to purchase products or how to determine their safety and potency. It will be important to help your audience understand that CBD has a natural way of working with the body to alleviate the chronic pain and discomfort associated with many diseases. Part of your marketing strategy will be to emphasize that CBD and CBD-infused products are not a miracle cure, but they do have medicinal benefits that can provide relief of symptoms related to epilepsy, dementia, Crohn’s disease and other gut disordered, PTSD, and ADHD. You will need to discuss the role of the FDA in the CBD market. Educating consumers should be an initial thrust of your marketing plan, but your CBD plan should have a long-term strategy as well. As the industry grows, so will misinformation. 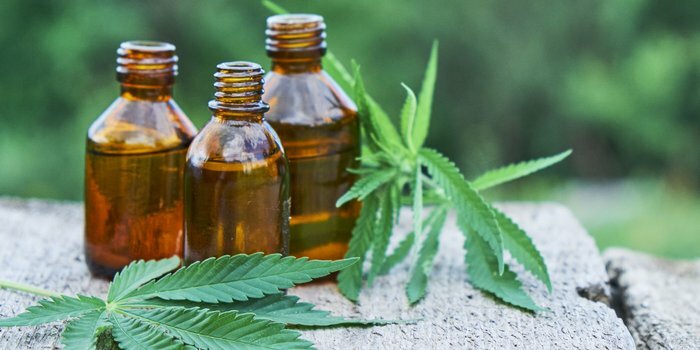 Your CBD business may find that some relevant data need to be posted prominently on your ecommerce webpage, while other discussions will be explored through a variety of blog postings. You may also find that consumers appreciate information disseminated through a live chat feature on your business site that allows your company to address their immediate concerns. Share meaningful experiences on social media. Whether your brand is new to the CBD industry or you are well-established, social media is an effective platform for getting interesting, relevant, and timely news and information to your target audience. Share photos about the benefits of CBD, stories celebrities that are promoting its use, new and innovative product developments, or even upcoming events on your website. Many consumers, especially millennials, care about humanitarian or philanthropic causes. Add a cause marketing campaign works seamlessly with your business. As a CBD brand, you might consider supporting a Parkinson’s event or a fundraising campaign for a related charitable cause. Share photos and stories about your upcoming events on your website or use hashtags to spread the word about the philanthropic work of your company. Encourage engagement with the events, use them to inform your consumers, and share the l social goods being performed on behalf of the community. As you begin to get the word out about your CBD brand, you may want to look at technology, including mobile apps, that educate your consumers and provide relevant data. This marketing strategy shows your consumers that you care about the outcome, not just the sale of your products. One such app is Releaf App, a cannabis treatment tracking app that allows the user to track live medical sessions and recording how it is helping the user. Symptom levels, doses, and feelings can be fed into the research app that teaches users about the types of cannabis and intake methods to determine how well they are working in treating the symptoms associated with chronic illness. What are your thoughts on the promotion of a CBD brand? Feel free to share your ideas here.